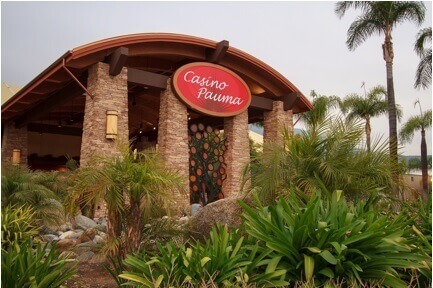 Casino Pauma is located in the heart of Pauma Valley, California. The casino has over 35,000 square feet of gaming floor, There are three dining venues including the Grove Buffet recognized as the 'Best Buffet value in the Valley'. There is also live entertainment in the Pauma Pavilion and Red Parrot Lounge. 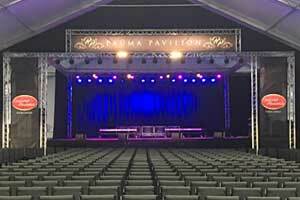 The former Pauma Pavilion has been replaced with a larger venue. The original tent like structure hosted 815 guests. The new structure can now seat 1,160 guests. In addition to the new entertainment venue there is also a larger stage and upgraded sound system and lighting. $5 Shuttle (760) 742-2177 - Hawthorne, Long Beach, Fullerton and Anaheim. 5 tables, live games and tournaments, open 5 days, closed Mon and Tue. Play Texas Hold'em, and No Limit Texas Hold'em. Grove Buffet: Recognized as the "Best Buffet value in the Valley" featuring fresh, organic local produce, a prime rib station, a pasta station and more. Pauma Cafe: All-day menu in a casual setting. Prime Rib Dinner, starting at 5PM every night. Pizzas, salads, sandwiches, hot dogs, nachos desserts. Open daily from 10:30AM-2AM. Live entertainment Friday and Saturday nights. 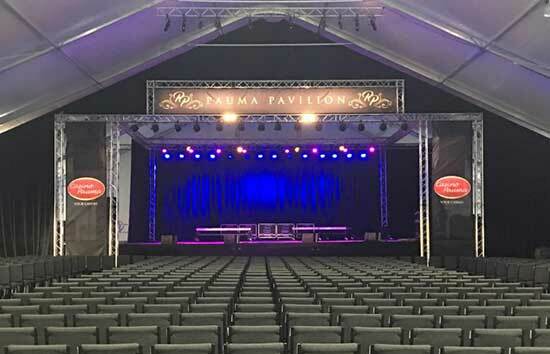 The Pauma Pavilion at Casino Pauma was recently renovated and upgraded. The original entertainment venue was built in 2008. The new structure replaces the previous one. Located next to the casino, it is a white structure similar to a large tent. The renovation plan began nearly six months ago. 1160 guests can be accommodated in the new venue. The old one could fit 815 guests. The stage has been enlarged. There are also upgraded systems for lighting and sound. The casino is hopeful that the new pavilion will attract larger entertainment acts. Many entertainers tour the country and California is always one of the stops. The casino wants their entertainment venue to be a regular location for many of those entertainers. On February 19 the first concert in the new venue was held. The first performer to be there was Engelbert Humperdinck. On March 09 Latin Grammy Award-winning singer Ana Barbara featuring Mariachi Garibaldi de Jaime Cuellar will perform. March 22 will be 38 Special, a band well known from the '80s. On July 11 Trace Adkins is scheduled to perform. Other casinos in Southern California have also been undergoing renovations. In December the $300 million project was completed at the Pechanga Resort & Casino. New hotel towers, event center, and restaurant were added. In March the new pool is set to open. A new hotel section and pool are also being built at the Pala Casino Spa & Resort. This is scheduled to be completed by May.